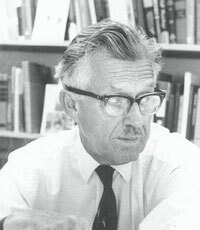 In 1969, H. Burr Steinbach, serving as first Dean of graduate Studies at the Woods Hole Oceanographic Institution, started a special program of visiting scholars specifically for the graduate students. This program, run every year since then, is intended to give our graduate students an opportunity to meet scholars working in ocean science, ocean engineering, ocean policy or in related fields leading scientists and engineers in an informal, relaxed atmosphere where the free exchange of information and ideas is promoted. The program is run entirely by graduate students in the MIT-WHOI Joint Program in Oceanography/Applied Ocean Science and Engineering, with all visiting scholars determined by student interest and scheduled and hosted by students. Scheduling is primarily, but not exclusively, during the summer months, with each distinguished scholar in residence for two to three days. Each visiting scholar is asked to give a minimum of three talks and be available for consultation with individuals or small groups of interested students. Appropriate social events are organized and hosted by the students to provide opportunities for the visiting scholar to meet students and staff. During the summer there are close to 200 students in residence at WHOI. The majority is enrolled as full-time graduate students in the MIT-WHOI Joint Program in Oceanography/Applied Ocean Science and Engineering. They are joined by advanced graduate students in the Summer Program in Geophysical Fluid Dynamics and advanced undergraduates in our Summer Student Fellowship Program. These students come from colleges and universities across the country and around the world. The Visiting Scholars Program serves as a catalyst for bringing the students and staff members together in an atmosphere of stimulating intellectual exchange. 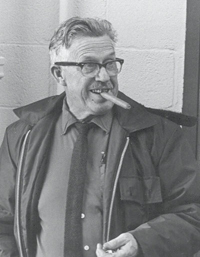 Dr. Steinbach, more fondly remembered as "Burr," passed away in December 1981 after a long and distinguished career as a research biologist, department chairman at the University of Chicago, Director of the Marine Biological Laboratory, and Dean at WHOI (see Dr. Steinbach’s CV (pdf)). After a great deal of thought and with the approval of the Steinbach family, it was decided to pay tribute to Burr Steinbach’s dedication to students by naming the visiting scholars program in his honor. Through the generosity of alumni, friends, colleagues, and associates, we are pleased to be able to continue this program. See a complete list of all previous visiting Steinbach Scholars here.